Laitilan Rautarakenne, commonly known in the UK as Japa, is a company which was established in 1977 and manufactures agriculture and forestry machinery and equipment that makes the work easier. Fuelwood are proud to be UK distributor of Japa firewood processors. 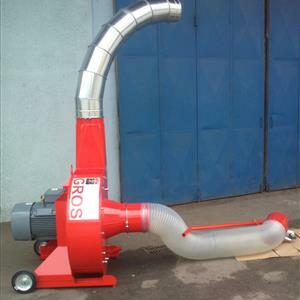 The main products are the Japa firewood processor machines and accessories related to them. In addition to firewood machinery Laitilan Rautarakenne manufacture skidding grapple and sanding gear of different sizes. Laitilan Rautarakenne was established by two brothers, Jari and Jarmo Paavola, in 1977. From the beginning the basic idea of the company was to manufacture machinery and equipment that would make agriculture and forestry work easier. Nowadays the company belongs to the Terra Patris Group. The manufacturing area of the company is located in Laitila. The sales of the products is taken care of by dealers. The company exports to several different countries. The share of exports is approximately 75 % of the production.